Contradicting Mahendra Singh Dhoni's views, senior batsman Sachin Tendulkar on Friday said the parties at the Indian Premier League cannot be blamed for India's debacle in the just-concluded Twenty20 World Cup in the West Indies. India failed to reach the semi-finals of the Twenty20 World Cup and skipper Dhoni said the late night parties and continuous travelling during the IPL took a toll on the players' body. "Parties and performance are two different things that cannot be related and every player should know his responsibility," Tendulkar told reporters after laying the foundation stone for an extension of Deenanath Mangeshkar hospital in Pune. Tendulkar said parties are not new in cricket. "Parties used to be held even in the past," he said, laying stress on observing one's discretion in the matter. Tendulkar, who led Mumbai Indians to the final of IPL III, said he avoided the parties since he wanted to be fresh for the next day's match. "I did not go for any of the IPL parties. I always wanted to be ready for the next match." He said every player should know how his body reacts and follow his duties and responsibilities. Arguably the greatest batsman ever, Tendulkar said it is important to "understand your body" and strike a balance between play and rest. Tendulkar also stressed on the importance of physical fitness and mental toughness. "Physical fitness helps you in being mentally tough, enhancing your confidence level," the 37-year-old said. "When pressure builds up in the game I try to focus on the next ball with calmness without thinking of the future course of the match. "My mood undergoes a change before every match as I start mentally preparing myself for the game," he added. 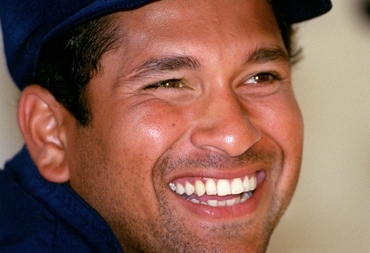 Asked if he wants his son Arjun to take up the sport, Tendulkar said: "It is love and passion for the game that counts. Arjun has complete freedom to make his choices." Tendulkar, who is participating in various charity programmes of late, said he is doing it for his own satisfaction. "I have been supporting charities for the last 15 years. I do it not for publicity but for my own satisfaction." Earlier, melody queen Lata Mangeshkar who has set up the hospital in memory of her father, said Sachin deserves not just 'Bharat Ratna' but 'Vishwa Ratna' as he is a global icon. Asked to comment on the remark, Tendulkar simply said, "Her blessings mean a lot for me."